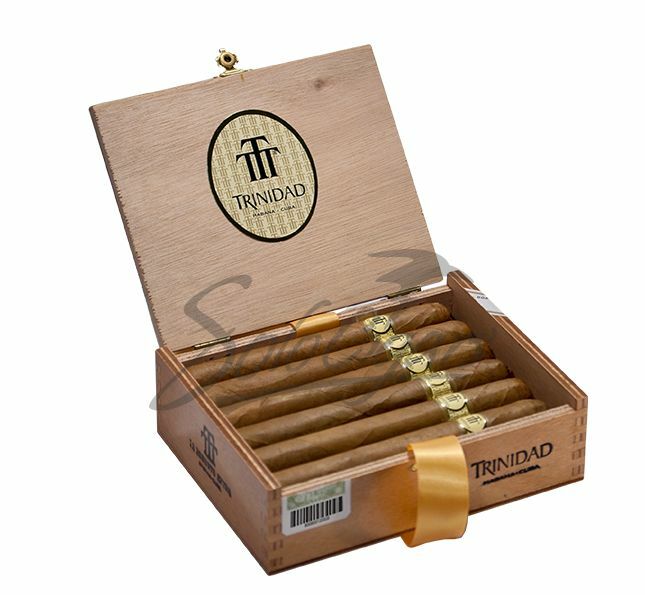 Trinidad Robusto Extra cigars come in the Double Robustos shape, with a medium to large length and a gauge size of 50. The exterior is very smooth and elegant, displaying a rich brown color. The strength is medium to full and the flavor bouquet displays vanilla, spice and sweetness. The tobacco for these cigars come from the famous Vuelta Abajo region. The brand was first established in 1969 and it is considered a very valuable niche brand.